Ask the Expert: Can Phone Policy Call for Deductions from Pay or Reimbursement? Ask the Expert: Is Need for Sleep Covered by the FMLA? Ask the Expert: Can We Adjust Time Cards for Waiting Time? Ask the Expert: Can Our Employee Work as a ‘Contractor’ on Weekends? 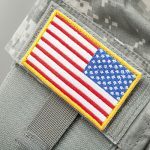 Ask the Expert: Military Leave—Paid or Unpaid? Ask the Expert: FMLA for Depressed Employee Who Hasn’t Requested It? Is an employer required to allow for intermittent time off due to military service? Can an employer require employees to provide proof of the need for intermittent time off?